Brad Fiedel to many people is associated with the electronic music of the Terminator films - metallic, ruthless, impersonal and relentless, yet with a powerful core. He seems so at home and accomplished in this medium that it is easy to assume that this style of music is typical of his output. However, Fiedel has been around for a considerable time scoring films and television shows, and has certainly served his apprenticeship on "human" movies with more traditional orchestration requirements as a quick look through his CV will demonstrate. For Television he has scored many TV Movies and worked on series such as "Midnight Caller" and of course "The Sarah Connor Chronicles", while for film he has scored a range of movies including the horror films "Night School", "Just Before Dawn" and ""Fright Night" before finding fame with "The Terminator". 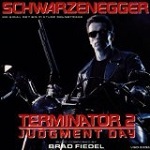 His soundtrack for Terminator 2 (or T2) took ideas and the main theme from the original film and updated them in a similar way to the on-screen action and special effects. The soundtrack is "industrial" in many sense of the word. In terms of sound construction, we have lots of "heavy metal" sounds like an anvil being struck with a hammer, and a particular sound, similar to a reverse cymbal effect, which sounds like a knife being sharpened. Then we have the percussion driven rhythms, mechanical and relentless like the robots in their determined pursuit. Finally we have pattern changes in the music which seem to suggest "changing gear", e.g. the T1000 in "search mode" spots a something suggesting his prey is nearby and so moves into "follow mode", then in sight of his quarry he breaks from a walk into a run. But the soundtrack isn't all like this. There is the main theme itself, heroic with a touch of sadness. There is the brief moment of relaxation backed by an acoustic guitar. Then there is the nightmare scene, where the music takes a back seat to the visuals, content to suggest the wind of slow-motion explosions and the screams as the flames roar through a playground. Here is an interview where Brad Fiedel talks about the T2 soundtrack and how the layers of this were put together. And here is a later interview (much of it in Japanese) where Brad Fiedel discussed and plays the original Terminator theme. 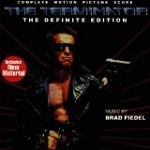 You will find some of Fiedel's other work is hard to find, but the Terminator soundtracks are deservedly popular. 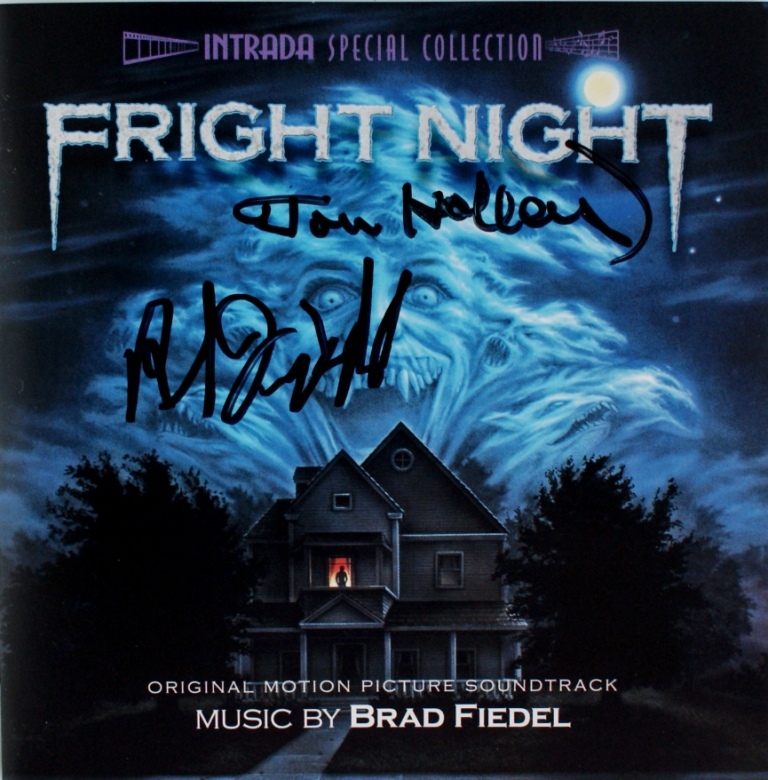 Here is a CD cover signed by Brad Fiedel. Our thanks to Petr Kocanda for permission to use his collection of autographed CDs. Click on the thumbnail below to see a full size version of the image in a separate window.